Luis Ángel Pérez was born in Alicante and is based in Madrid. 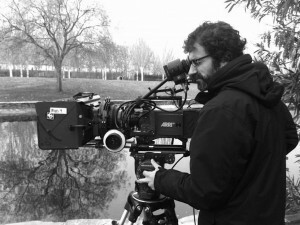 He is a member of the AEC, the Spanish Society of Cinematographers. He has built a career as a freelance cinematographer since 2004. He is an images and light lover. He is convinced that being director of photography is the best job in the world. He has photographed four feature films, more than fifty short films, commercials, music videos, documentaries and TV Shows. Luis Ángel Pérez, AEC is part of the Creative Collective Pérez y Stein where they create other kind of music videos and commercials and is also a teacher at Francisco de Vitoria University.